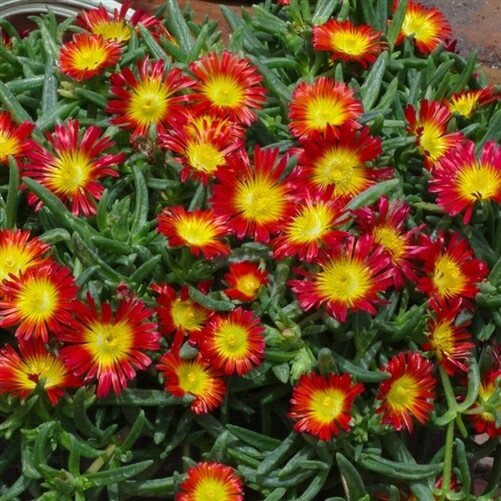 Vibrant red flowers with yellow centers bloom from spring until fall over fast spreading succulent foliage. Heat, humidity, and drought-tolerant. Perfect for rock gardens or low borders.